1. Removable header and printed custom graphics. 2. 2-shelves designed to dispense products. 3. 100% recycled and non pollution. 4. Shipped flat and simple to assemble. These 2-shelves point to purchase displays, counter top sit in the front of desk or cash register to draw more attention from customers quickly. And the removable header that can be created your own graphics to promote brands or products in perfect solution. 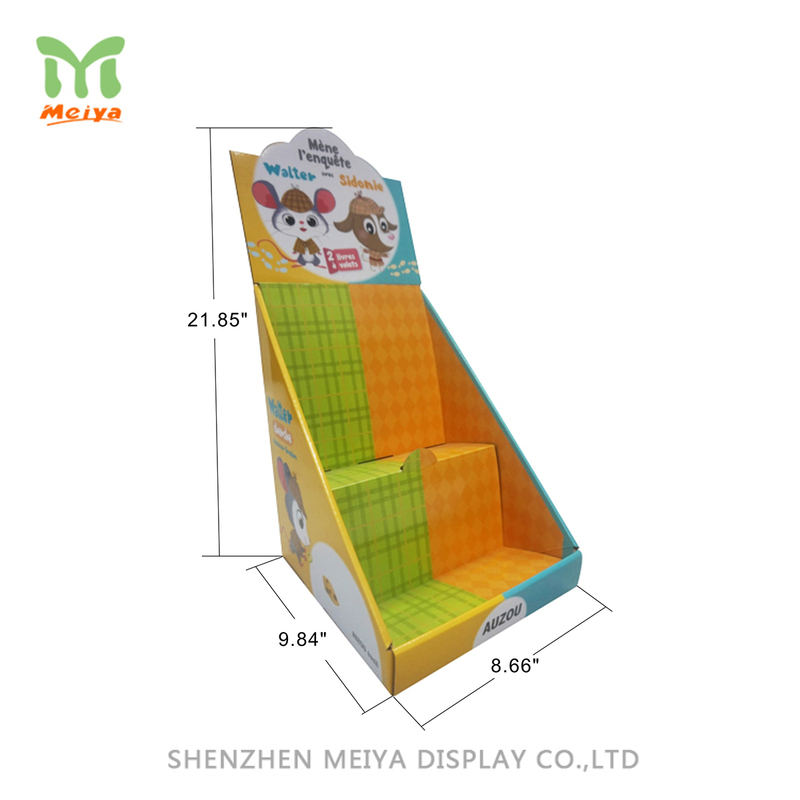 Meiya Display offers a wide range of cardboard displays that are great way to showcase your products, any dimention, style, color, finishing can be customized by Meiya who is an expert in designing, manufacturing, delivering cardboard displays.